It is the symbol of the City that, with its majestic cone dominates a disquieting and evocative environment. The earliest eruptions, which took place between 25,000 and 17,000 years ago, partly destroyed the most ancient volcano, Mt. 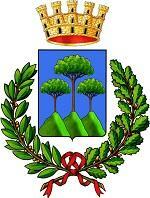 Somma, within which the Gran Cono of Mt. Vesuvius later formed. Tormented landscapes of savage beauty await the visitor: the panorama from the top of the mountain extends from the Sorrentine Peninsula to Capo Posillipo. 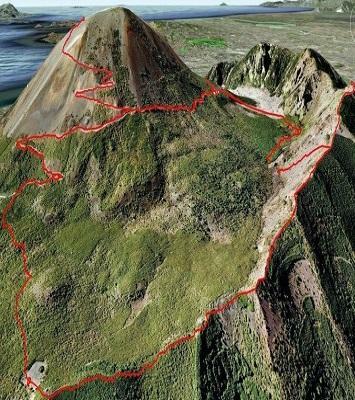 The summit crowing the volcano (above image) is that of the remaining of Mount Somma (1133mt), and on the forefront is the newer cone of Vesuvius (1281 mt) . They are separated by a valley called ‘Valle del Gigante’ (Valley of the Giant), in turn subdivided into ‘Atrio del Cavallo’ (Hall of the Horse, West) and ‘Valle del Inferno’ (Valley of Hell, East). Below , Mount Somma is located on the left (Image below). 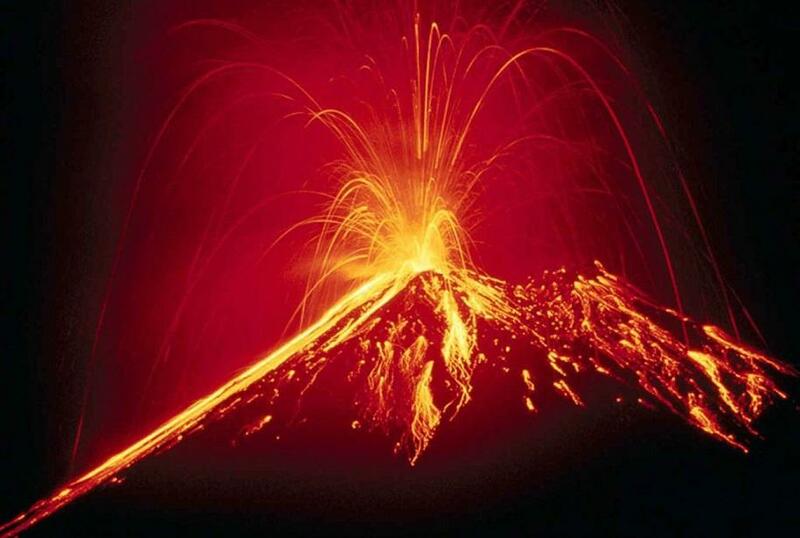 It became suddenly famous when, in 79 BC, it erupted. 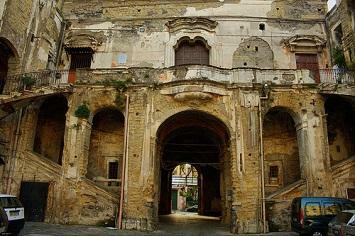 Entire cities, among which Pompeii, Herculaneum and Stabia, were destroyed. The last eruption, filmed by Allied troops, was in 1944. Since then the volcano has been dormant. 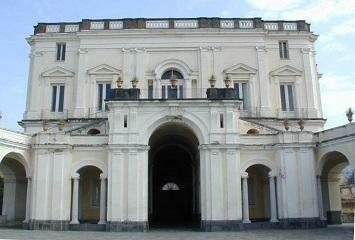 The Vesuvian Observatory is the oldest scientific institution dedicated to the study of volcanos, and was founded in 1841. The original seat, an elegant neoclassic-style building, is on Vesuvius, between Herculaneum and Torre del Greco at a height of 608 mt. The old Bourbon building hosts a permanent exhibition that takes the visitor for a fascinating journey into the world of volcanos. Boscoreale - Farming town famous for its fruit and wines, but also for the Antiquarium; a museum that was opened in 1991 and gives the chance to admire and discover the natural environments of Vesuvius and the daily life of the inhabitants of Pompeii and Herculaneum before the fatal eruption of 79 AC. 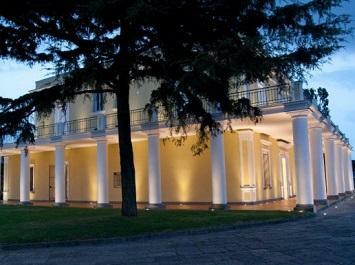 Numerous testimonies of the Ville patrizie, the imposing Villa Regina stands out among these. Boscotrecase - A town very close to the ruins of Pompeii, that became a starting point for the ascent up to the crater in the twenties, when the strada Matrone was opened. 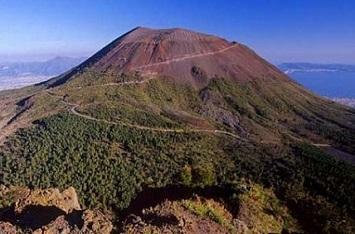 It is currently a base for visits to the Tirone-Alto Vesuvio Nature Riserve. 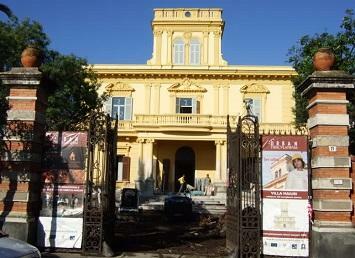 There is an interesting church in the town centre; the church of the Ave Gratia Plena, built in 1688. 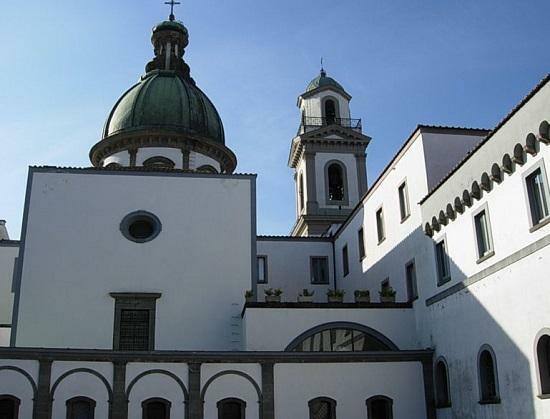 It is one of the oldest places of worship in the Vesuvius area. 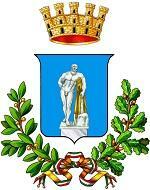 Ercolano Via Vesuvio starts in this municipality. 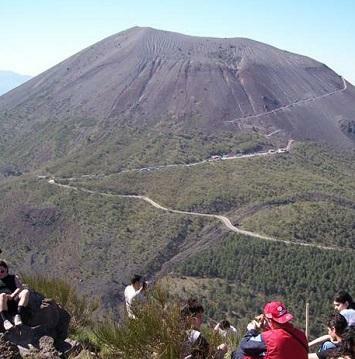 This provincial road, which crosses the path of the lava flow of 1944, arrives at the Vesuvius Observatory and ends at the foot of the Gran Cono. 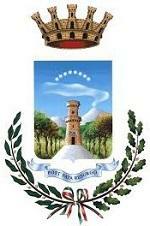 The Miglio d’oro (Golden Mile) crosses this town, with its splendid eighteenth century noble residences. It is best known, however, for its famous and extraordinary ruins and the air of millennial history that you can almost breath when you visit here. ​Massa di Somma - Situated at the foot of the volcano, most of this municipality was destroyed by the 1944 eruption, as was the nearby town of San Sebastiano, and there is therefore a prevalence of modern architecture. The ancient church of the Assunta (Our Lady of the Assumption) is in ruins, but some well-preserved Vesuvius farmhouses can be found around the town. 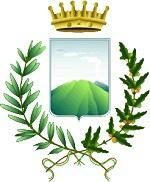 Ottaviano - This farming town at the foot of Mt. Somma was for many years a sought–after holiday destination. There are still a number of seventeenth and eighteenth-century churches here, amongst which the impressive Sanctuary of San Michele Arcangelo. 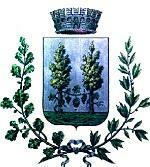 Pollena Trocchia - This area comprises two municipalities, and Trocchia is undoubtedly the most attractive of the two, with its picturesque mediaeval district. 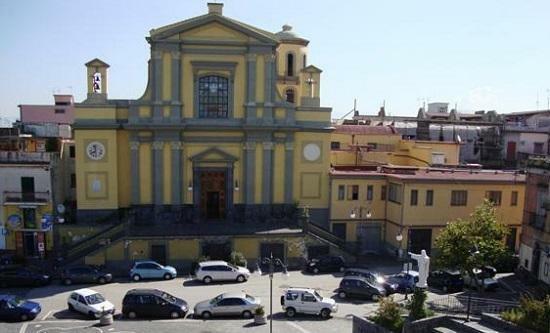 In Pollena, the most important monument is instead the neoclassic parish church of San Giacomo (St James) in the central piazza Amodio. San Giuseppe Vesuviano - This town has endured the volcano’s fury on several occasions, and was completely covered by ash during the 1906 eruption. 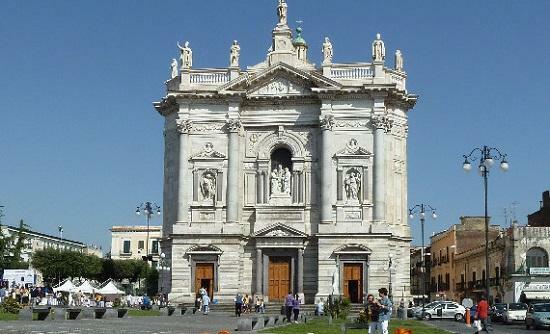 Its most significant monuments worth visiting are the church of the Vergine Madre di Dio (Virgin Mother of God), built in the second half of the eighteenth century. 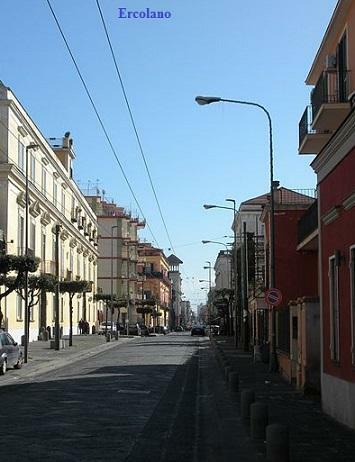 San Sebastiano al Vesuvio is the nearest of the Vesuvius towns to Naples. It was razed to the round by the last eruption in 1944; today it is predominantly modern in its appearance, having been rebuilt. 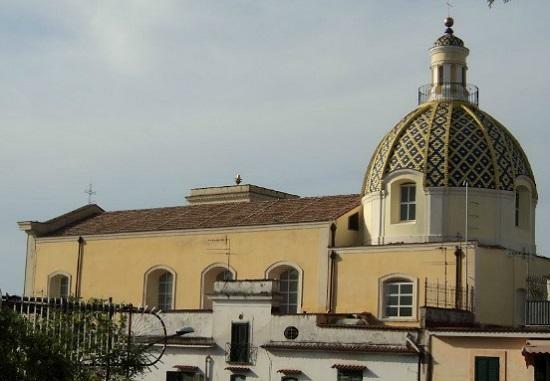 An imposing white dome, which dominates the town centre, identifies the eighteenth-century church of San Sebastiano, which miraculously escaped the disastrous eruption. 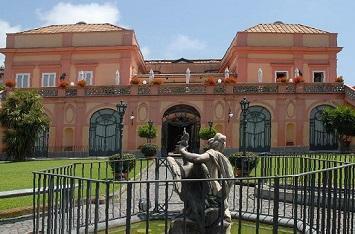 Sant’Anastasia still has an interesting historical centre, and is famous for its copper craftwork. 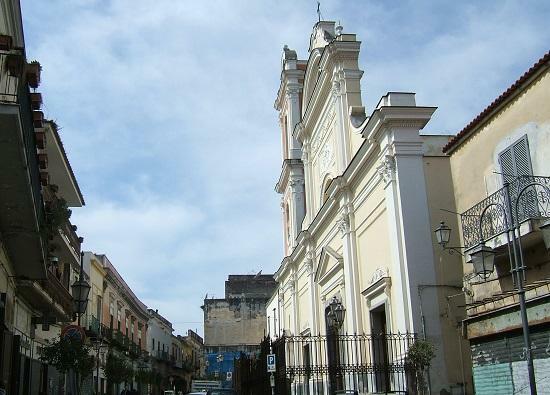 The parish church of Santa Maria la Nova is its most noteworthy monument. 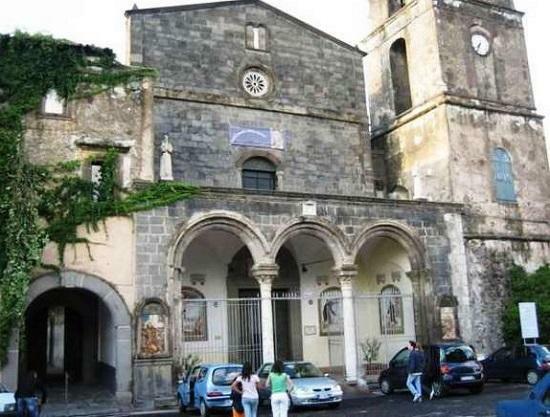 A short distance away from the centre is the Sanctuary of the Madonna dell’Arco, where every Easter Monday the traditional pilgrimage of the fujenti (barefoot pilgrims who run to the sanctuary) takes place, bringing together thousands of Christians from all over the Campania region. Somma Vesuviana still has an interesting historical centre; the Casamale is the town’s oldest district: it is still surrounded by Aragonese walls, and the castle ruins and the splendid Collegiata can be found here. Below the built-up area of the town is the fifteenth-century church of Santa Maria del Pozzo and the nearby Museum of Rural Civilisation, which brings together 3200 everyday objects and approximately 3000 photographs on agriculture in the Campania region. 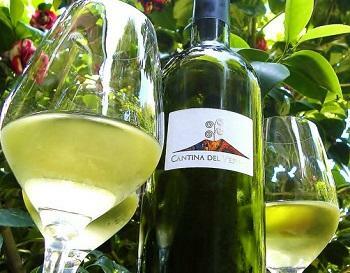 gets its name from the third stream of lava or “third fire” that destroyed the strata of the volcano in 1631. 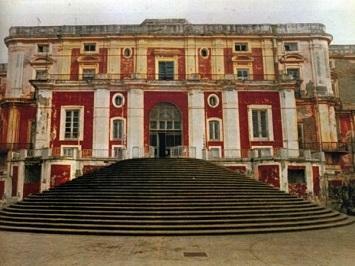 Among the monuments worth visiting here are the Tempio dell’Immacolata, unveiled in 1758, the remains of the church of San Francesco (St Francis) and the stately Villa Bifulco. 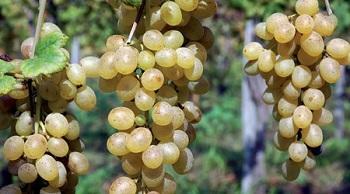 Terzigno also boasts a traditional and well-known wine production. Torre del Greco is the most heavily populated town in the protected area, and particularly wellknown for coral production. 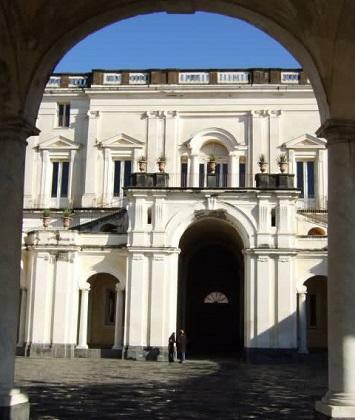 However there are other sites of historical importance worth visiting here, such as the neo-classical church of Santa Croce, the Palazzo Vallelonga, the lsea Villa del Cardinale, and the Villa Porta. Not to be missed either, are the breathtaking view offered from the Convent of the Camaldoli della Torre and the Villa delle Ginestre. 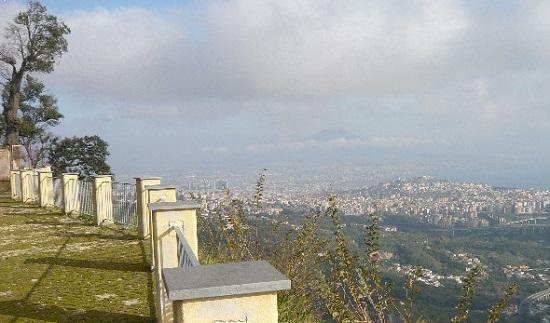 By car from Naples or Salerno: take the A3 highway Napoli-Salerno and exit in Torre del Greco, then follow the signals that indicate Vesuvius. 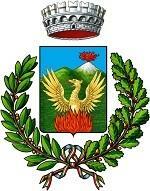 By bus: Circumvesuviana Line Pompei-Vesuvio. Stops at the terminal Pompeii: Amphitheater, Porta Marina, Villa of the Mysteries. Stop at Mount Vesuvius: Vesuvius parking 1000m altitude. driving time: 1 hour. 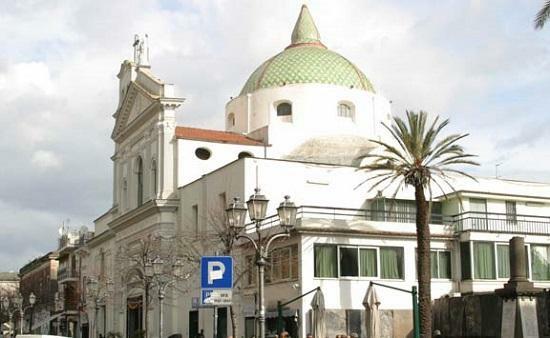 Departure by bus from Naples: with EAV BUs you can reach, directly without stops, Vesuvius but the road length is longer and it's better to catch the train; aniway busstop is available at the central station of Naples, ask for details). Return from the parking 1000m at 14.00 and at 15.50 to Naples. If you arrive in Naples by plane, take the bus to the central station of Naples, but here, take the Circumvesuviana railway train and get off at Herculaneum. 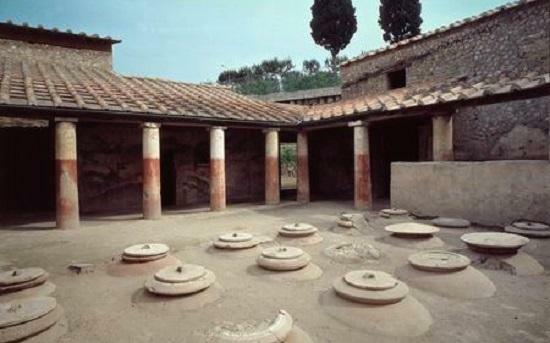 In Herculaneum, take the Shuttle-Taxi of cooperative "Vesuvius Express." In about half an hour you reach the parking lot 1000m. From Sorrento: by train with Circumvesuviana until to Pompeii, getting off at "Villa of the Mysteries" and then get on the bus Pompeii-Vesuvius (as above). If you are arriving by state railway, leave the train at Piazza Garibaldi Stazione Centrale (Central Station). From the Central Station, take the Circumvesuviana local train for Sorrento or Poggiomarino Via Pompei (click here for timetables and prices, sites www.vesuviana.it and www.too-to-train.it) . If you are arriving by plane at Capodichino Airport, take the bus for Piazza Garibaldi Stazione Centrale (Central Station). 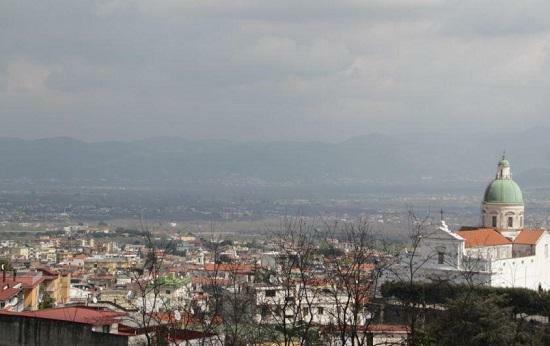 If you are coming from Sorrento or Pompei, you can reach Ercolano Scavi using the Sorrento Napoli and Pompei Napoli lines. From the square outside Ercolano Scavi Station there is a bus service (click here for timetables and prices of public transport in the Vesuvius area) and taxis which will take you as high as 1000m. 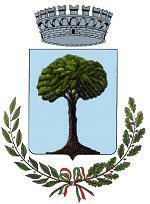 As for the flora, the territories of the Vesuvius and the Somma differ in certain aspects. 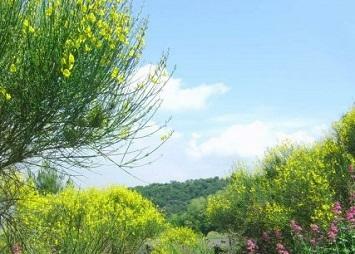 The former is more arid and sunny, with typical mediterranean vegetation, pine woods and holm-oak stands. Since ancient times man has settled at the foot of Mt. 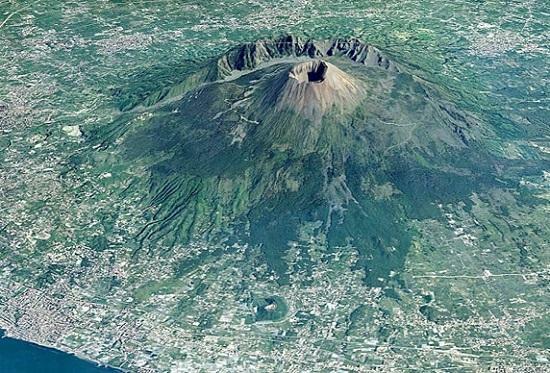 Vesuvius, because its fertile volcanic soil and temperate climate have favored the emergence of thriving agriculture there. The extensive oak woods have slowly been replaced by vineyards and orchards, which are still the main crops farmed in the area today. Among the best-known produce are: apricots, in a wide range of varieties, cherries, which are mostly grown at the foot of Mt. 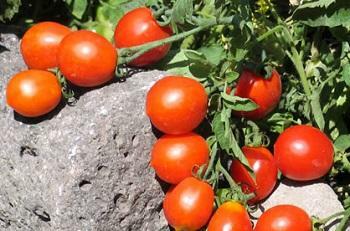 Somma, the famous pomodorini da serbo, cherry tomatoes that are kept all year long, hanging from the walls or ceilings in characteristic piennoli, and the giant cauliflower among the vegetable species. Vesuvius however, is above all a wine-growing area; one of its most renowned wines is the Piedirosso, which together with Falanghina, is the Vesuvian red and rosé wine with a Controlled Denomination of Origin, while the white wine with the same denomination comes from the Coda di Volpe vineyard, which has ancient origins. 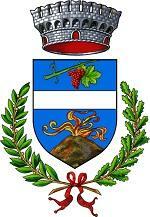 The Falangina, Piedirosso and Coda di Volpe grapes are used to produce the famous Lacryma Christi wine. 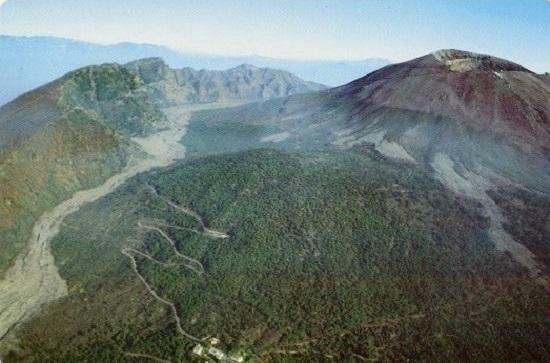 In 1991 the institution of Vesuvius National Park was decreed, and the “World Biosphere Reserve” status was given to it by Unesco. 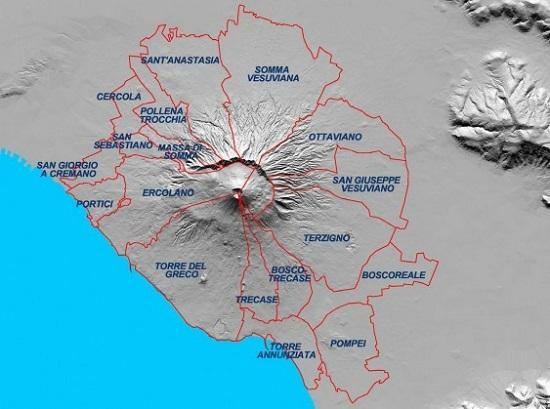 This comprises all of the area around the volcano, the entire archeological system of Pompeii, Herculaneum, Oplontis and the Miglio d’Oro (Golden Mile) with its splendid examples of 1700’s and 1800’s villas. 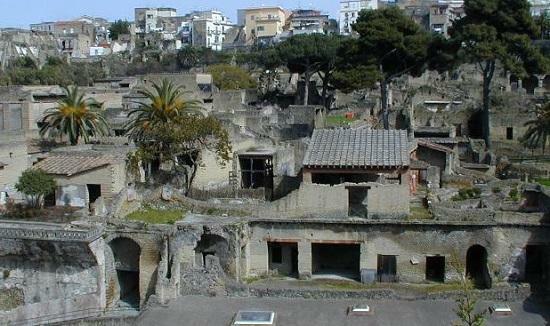 Below - Ercolano - A stretch of the Golden Mile. 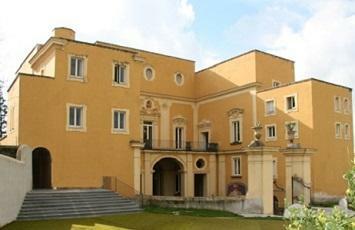 is defined as "golden" for the rich history and beautiful landscape and the presence of Vesuvian villas of the eighteenth century. 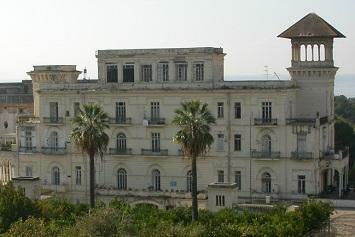 Below some of the Villas to be found coming from Napoli. 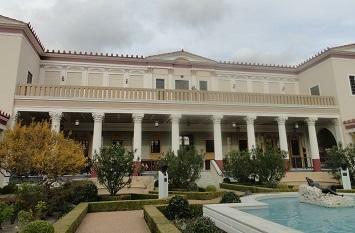 (In all there are 122 villas). Sadly, for some , time might have run out. 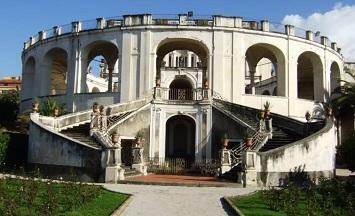 Below is the Villa Pigniatelli di Montecalvo in San Giorgio Cremano. 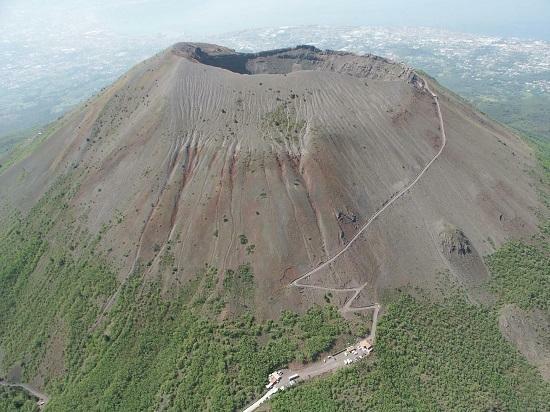 The Vesuvius National Park nature trail network comprises 9 trails that let visitors discover all of the beauty and peculiar features of the Somma-Vesuvius volcanic complex. Each trail has been made safe using special engineering techniques, and signposted with information on the nature, geology and history of the trail. There are signs indicating the colour of the trail shown on the signpost at the beginning of the trail.